I am not quite sure what the first movie I ever saw at the movie theater was, but the earliest one I can remember seeing was Oliver & Company. I loved when Dodger sang Why Should I Worry? (and I still do). 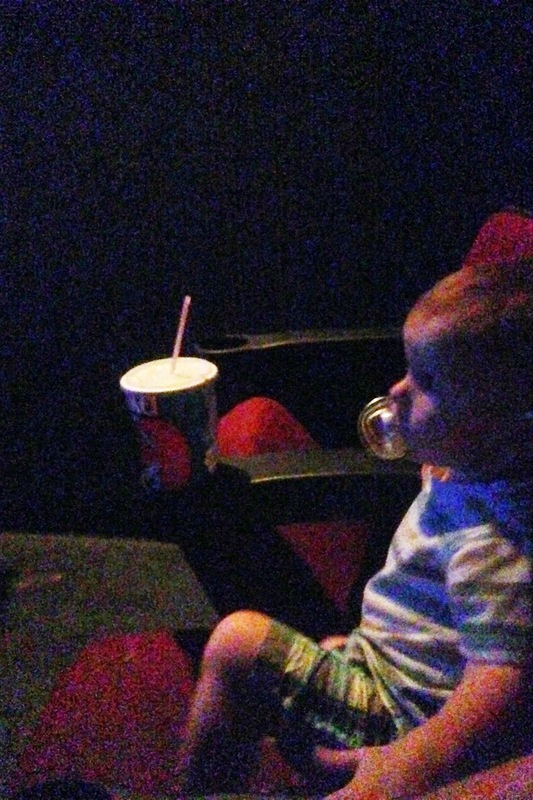 Yesterday, we took Fox to see his first movie in a movie theater. We were pretty nervous because he's never really sat through a whole movie at home, so we just went to the dollar theater as a precaution -if worse came to worse and we had to leave, it'd only be like $3 we would have spent anyway. They were showing Frozen. Perfect. Fox had never seen it, but Camaron and I had -so again, no big deal if we missed some parts or had to leave. Not too incredibly surprising, Fox blew our low expectations away and did awesome. He sat on Camaron's lap for most of the movie, and then awkwardly sat in his own seat the rest of the time. 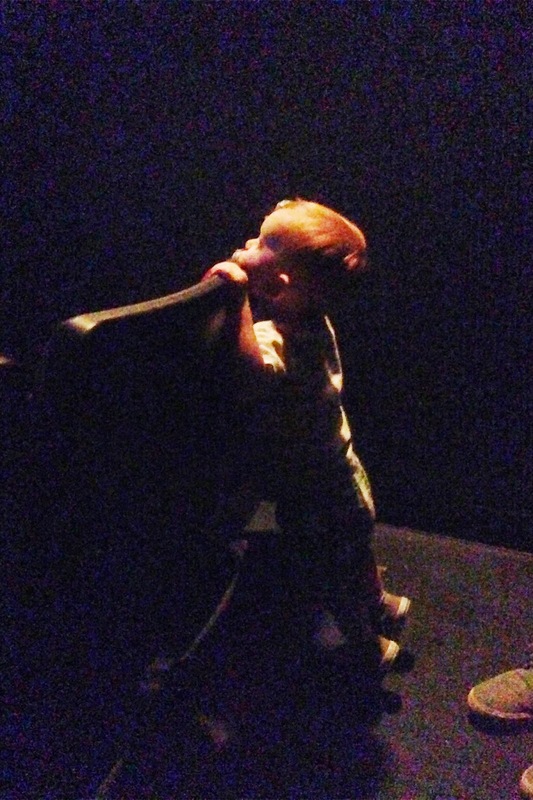 I don't know if it was the seats or Fox, but apparently he wasn't quite big enough to weigh down the fold-up seat, so he was slightly folded-up whenever he sat in it:) He ate tons of popcorn, and fed us in between his bites. Along with eating it, Fox spent most of the movie putting popcorn in his empty water cup (it accidentally spilled out on the floor) and then transferring the popcorn back and forth between that and a little tupperware cup he had also brought. Don't let that fool you though, even though he played with his popcorn, he was completely mesmerized by the movie. I think having all of the lights off helped minimize distractions. As we walked out, Cam and I were basically celebrating and planning our next movie outing the whole way to the car -well, that and singing Let It Go.